Tucked in amongst stacks of fresh produce from near and far was a plastic-lined crate of unfamiliar squiggly greens labeled punterelle. Through the wonders of my iPhone I quickly determined that punterelle is a variety of chicory behind whose tight head of feathery greens lay stalks. 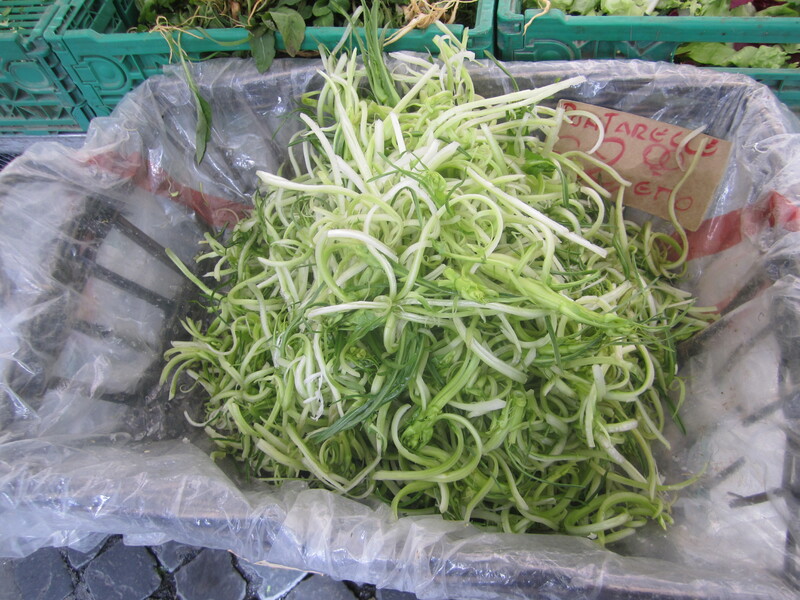 These stalks, when shredded with an ingenious tool produces a green that, as I was soon to learn, yields a salad of almost indescribable pleasure when paired with anchovies, red wine vinegar and olive oil.